Do you want to make sure that your 4-year-old doesn’t grow up too fast? Are you looking for the best age-appropriate toys for your little girl? Look no further. I understand that buying toys for your kids can be an overwhelming experience. Most of us don’t know where to start when it comes to purchasing reliable and suitable toys for our kids. I’ve put together my lists of favorites to save you time, effort, and energy. Before I show you the best toys for 4-year-old girls, here’s what I think you should know. Use the links above to check the latest prices or read our in-depth toy for 4 year old girl reviews below. If you want to choose the best toys for your daughter, there are a few things that you should consider before you start looking. It can be tricky to shop for 4-year-olds. They’re not as simple-minded as toddlers, but their communication and cognition skills haven’t fully developed (source). Buying outside of their age group could lead to toys that are too difficult or inappropriate for your child, or so basic that she’ll grow out of them fast. What Are the Developmental Milestones for 4-Year-Olds? Physical and gross motor ability: Kicking, throwing, and catching balls; hopping and balancing on one leg; walking up and down stairs unassisted; walking backward. Fine motor skills: Using scissors; drawing human figures with at least two body parts; copying basic letters and shapes; using crayons, glue, and other easy-to-use stationery. Language and communication: Communicating clearly and coherently and being able to retell simplified stories; speaking in sentences of at least five words; making use of basic grammar. Cognitive ability: Making sense of and following simple instructions; identifying colors and numbers and being able to count (even if only to 10); expressing a linear point of view. Emotional and social awareness: Exploring new ideas; playing make-believe; being able to play with other children; having a sense of independence and identity. Which Toys Are Appropriate for 4-Year-Olds? 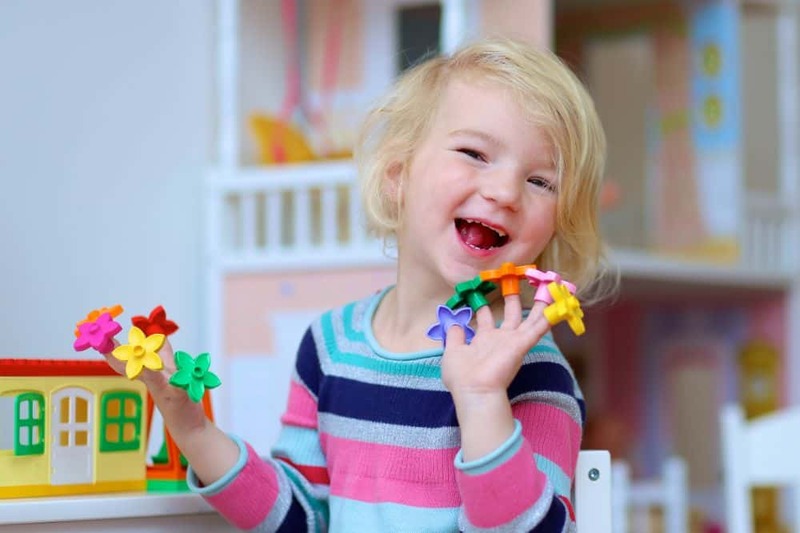 Fine motor toys: Puzzles, hand puppets, building blocks, and play-doh. Board games: So long as they’re simple. Your daughter probably won’t understand strategy, but she’ll be able to take turns and follow instructions. Imaginative: Props, costumes, dolls, and other make-believe toys are wonderful in the eyes of 4-year-olds. They’ll be able to pretend, which is important for their development. Outdoor: Don’t forget to get your girl moving. Four-year-olds have loads of energy and toys that encourage exercise are an easy way to keep your daughter fit. Ride on toys are also great. Creative play: Don’t forget to include art, music, and other creative toys or tools in your child’s play. They’re important for building personality, confidence, and for emotional and cognitive development too. Whether you want to buy into the stereotypes is your choice, and no one can tell you if your decision is right or wrong. Still, for the sake of simplicity, the following toys are all (for the most part) gendered. Compiling this list has made me wish I could be a kid again. These are my top picks of toys for young princesses. I challenge you to not want them for yourself! This board game may be made especially for girls, but it’s fun for the whole family. With a simple objective (get to the castle, and defeat challenges along the way), your 4-year-old won’t struggle to understand the rules. This comes with four Disney princess figurines, 12 friend tokens, a spinner, the gameboard, and an instruction manual. Your daughter can play as Aurora, Snow White, Belle, or Ariel. If you have other games in this series, you can connect the boards to make it more challenging. 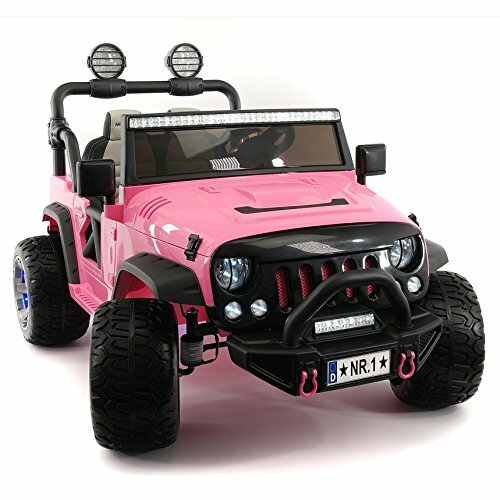 Make sure your daughter travels in style with this awesome remote-controlled ride on toy. I’d have dreamed of this as a little girl. If I was buying this, I’m not sure if I’d really be getting this for a child or if it was for the 4-year-old in me. This cute ride can hold up to 100 pounds. It uses a removable and rechargeable battery and has two motors. Under parental control, it has three speeds (and can go up to 5 miles per hour). It’s good to know that this also has brakes, seatbelts, and a soft-start function. It’s also got shock absorbers, LED lights, and a 2.4Ghz remote control. It’s even got a built-in mp3 player, Bluetooth radio, and SD card slot. Wow! Whether or not your daughter is helping out in the kitchen or just playing pretend, this baker’s set will be a hit. 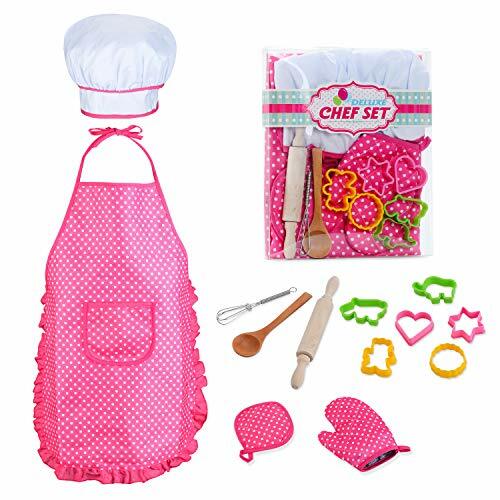 It includes a chef’s hat, an adjustable apron, oven mitt, hand mixer, wooden spoon, rolling pin, heat resistant mat, and six plastic cookie cutters. This set can also be used as cosplay and will add an extra element to any 4-year-old girl’s make-believe play. This costume gets extra points for being pretty too. 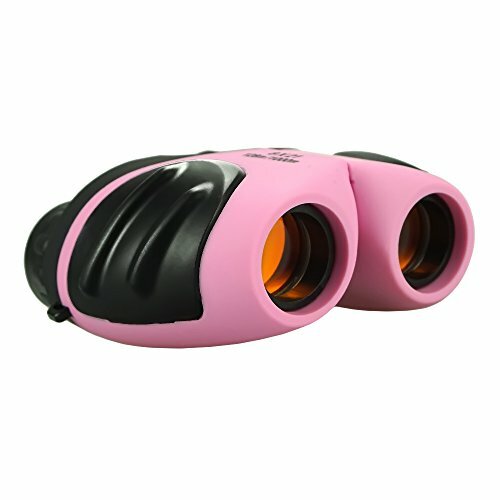 These fully functional binoculars have rubber padding to protect your child’s skin. They can be easily focused and adjusted to match your child’s eyes. They’re shockproof and will withstand all the drops and falls of childhood. They’re non-slip too and have a patented grip, designed for small hands. But don’t let that exclude you from the fun — these are good for adults too. Take your pick of eight colors (though your girl might be set on the pink one). Your little girl will have so much fun exploring the world around her. It’s simple but has immense educational potential. We know that building blocks are a staple in developmental toys, so it’s always cool to see a new spin on them. These building bars are an interesting choice for your little girl. They’re colorful and have all the benefits of more generic builders. The STEM set includes 480 durable pieces that snap together to form any shape your little girl’s heart desires. 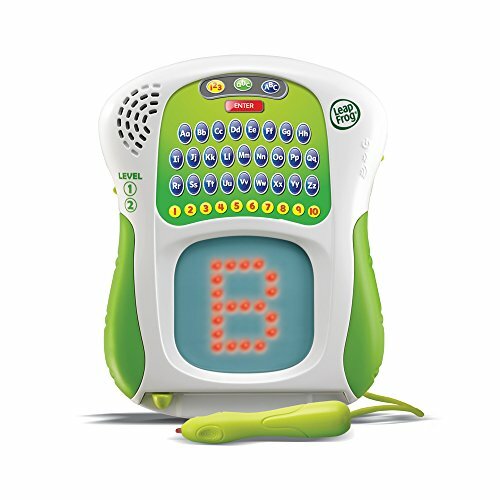 This is a powerful tool for encouraging imagination, creativity, pattern recognition, and fine motor skills. You’ll also get a handy storage bag. Who doesn’t love a good tea party? I think it’s just a known fact of the universe that little girls love tea sets. This pretend birthday party set is exciting, colorful, and almost good enough to eat. Your girl can take the cake apart and put it back together to easily decorate her own creation. 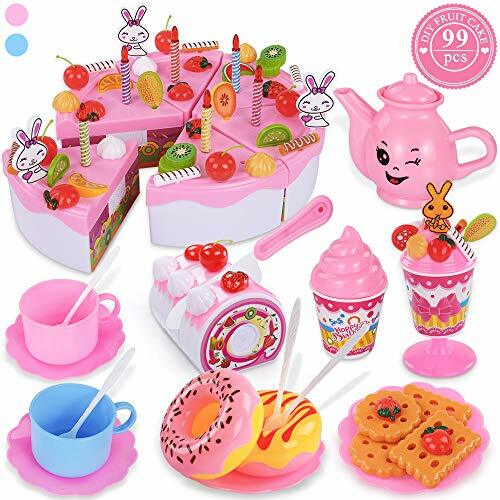 You’ll get cake, fruit, dessert, cookies, doughnuts, candles, and more in this impressive 99-piece set. If your little one does try to eat this, you’ll rest easy knowing that these are all BPA-free and non-toxic. It shouldn’t be difficult to find STEM toys for girls, but often the stereotypes take over and all you’ll find are trucks and boyish bots. This bright rainbow toy is sure to catch your little girl’s eye. It contains more than 120 colorful pieces that can connect into all sorts of shapes and designs. They snap together, and as with all STEM toys, they promote cognitive, sensory, and motor development as well as creativity and imagination. 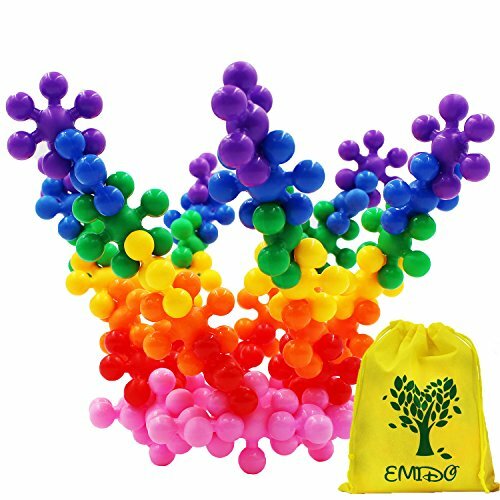 The set includes a colorful storage bag. Barbie’s dollhouse stands at an awesome 3 feet tall and 4 feet wide. It has three floors, eight rooms, a working elevator, pool, and slide, and can be played with from all angles. It makes me wish I was 4 years old again. It also has built-in interactive sounds and lights. You can even transform the environment of the dollhouse, so it feels like you have two different toys. 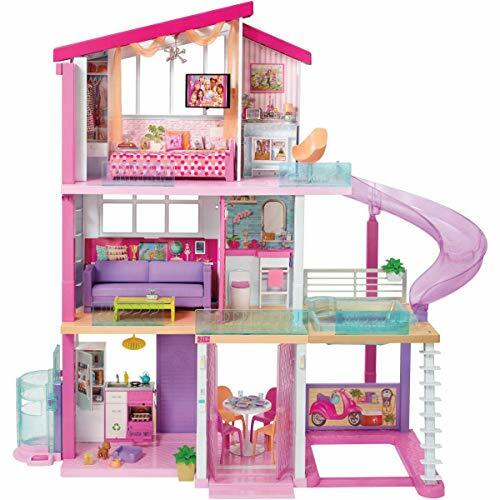 The DreamHouse comes with a total of 70 pieces and is wonderful for imaginative play. Watch these adorable little mermaids perform tricks underwater, with a simple pull of their tails. Bathtime will be a whole lot easier (and fun) with these cool, pretty toys. 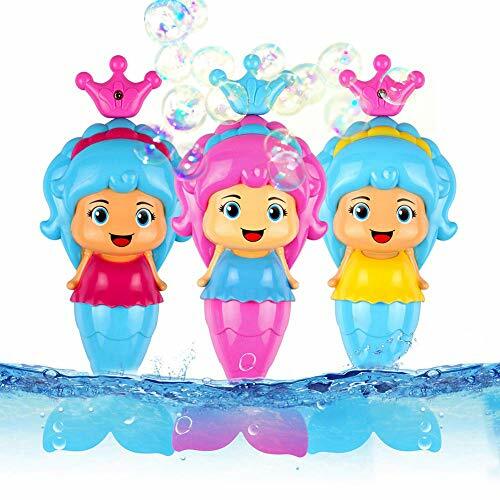 This pack includes three mermaids, in bright, random colors. As the mermaid swims, her tail flaps and clicks; it’s a great way to keep your 4-year-old distracted while you’re washing her hair. Each mermaid stands at just under 8 inches tall. They’re BPA-free, and perfect for under-the-sea princesses. Four years old is the age when school-readiness becomes a priority. Give your little girl a head start by getting her this nifty tracing tablet. … but sometimes going all out is awesome. 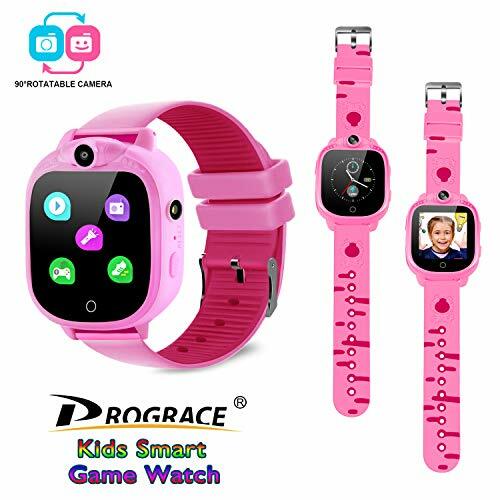 This game watch has a touch screen, four built-in games, a functional and rotatable camera, a radio, music player, and more. It can take an SD card and earphones too. You can even use it for health monitoring, and counting your child’s steps. If your daughter is tech savvy, she’s sure to enjoy having her own smart device. It’s a great way to keep her away from the internet or your own phone. The only thing better than having a princess wand is having a one-of-a-kind princess wand. 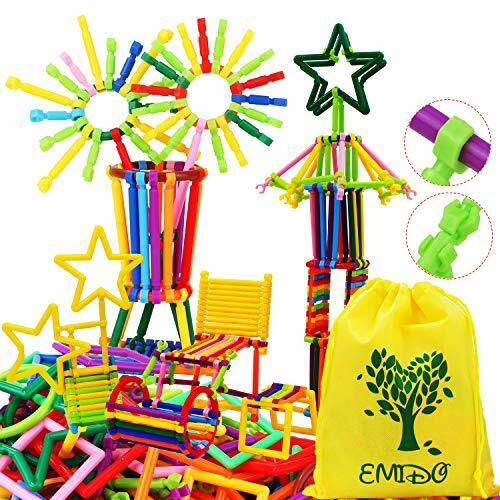 This creative toy set will give your daughter a confidence boost by allowing her to make something she’ll be proud of. 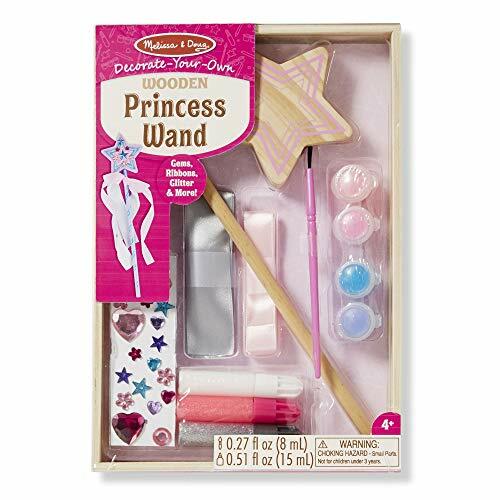 The set includes a wooden star wand, two ribbons, 19 stickers, four paints and a paintbrush, and three types of glue. Designing her own wand will develop her fine motor skills, imagination, and personality. Make-believe will become 10 times more fun with this wand. Your daughter can’t be a unicorn, but she can look like one. 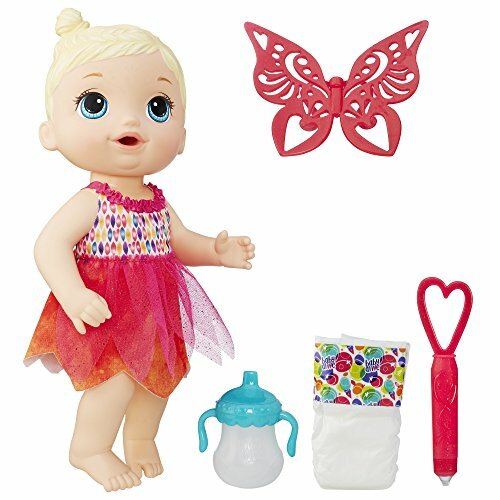 This majestic party pack will give your little girl everything she needs to transform into a magical creature. 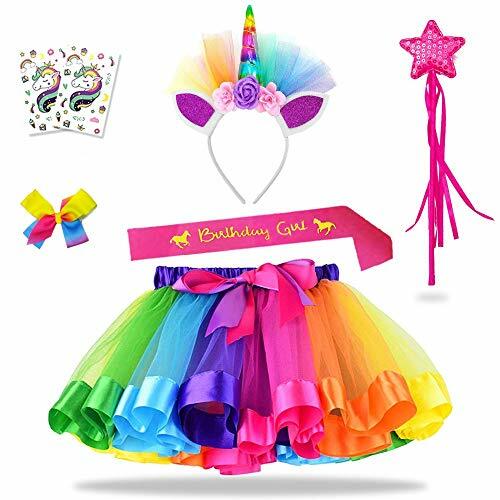 It has 7 components, including a rainbow tutu, a unicorn headband, a star wand and a set of colorful temporary tattoos. It also comes with a birthday sash, so it can be a great treat on your girl’s special day. Either way, she’ll have a lot of fun putting this to use. It’s made from excellent quality material, and it looks lovely. There’s not much to explain here but this toy’s value lies in its simplicity. 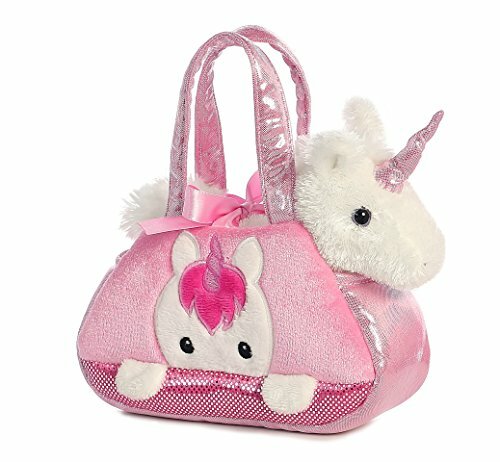 Your girl will get a pretty pink purse with a nice ribbon, and a soft plush unicorn that fits comfortably inside. The unicorn can be removed so your girl can play with it on its own, or she can play peek-a-boo with it. Either way, she gets a cool bag and a new friend. It’s so sweet. Just like with the building bars, this doll puts an interesting twist on an otherwise classic toy. The Baby Alive face paint fairy has cool features that make her more than just a simple doll. When you wipe her face with iced water, her magical face paint is revealed. Wiping it with warm water will make it vanish. She drinks from her bottle too, and once she does, she’ll wet her diaper. She comes with a bottle, removable dress, wings, a wand, and a diaper. I can’t help including this for one reason and one reason only: it’s so pretty. Dolls are important to little girls, but they’re often over the top these days. Sometimes it’s good to go back to basics and give your daughter a simple friend that’s nice to look at. 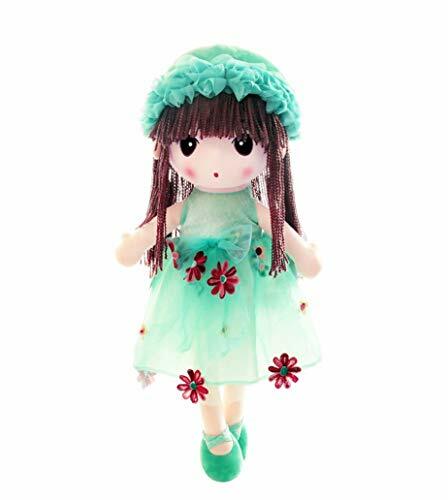 The Kawaii flower fairy is available in a choice of five attractive colors. She’s made with superior quality plush materials, has a removable skirt, and stands just under 19 inches tall. 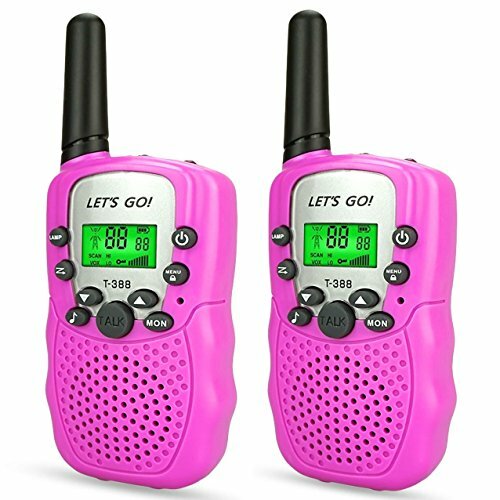 These walkie talkies are superb for home play, outdoors, or even travel. They’ve got a 2-mile range, three channels, and a bright and stylish look. They’re made of strong material and have crisp quality audio with adjustable volume. Each one is small and portable with an ergonomic grip. It also has a belt clip so your girl can easily carry it wherever she goes. Keyboards are fun because they can be used as toys or as actual musical instruments. 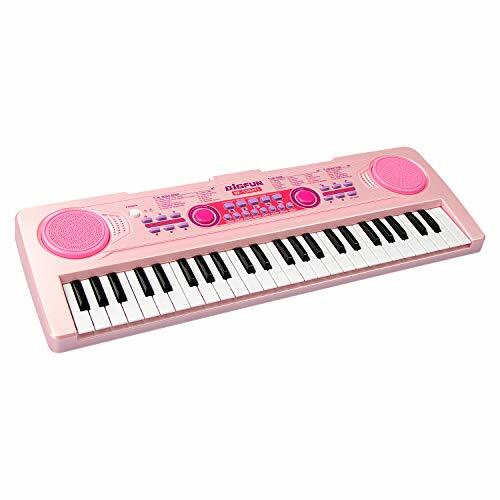 Whether you’re looking to entertain your girl or get her seriously started in music, this keyboard is a great introduction. It has 49 keys, is 21 inches long, and comes with a microphone. You can charge this keyboard with your standard phone charger. It has two speakers, various modes, and more than 100 sounds programmed into it. 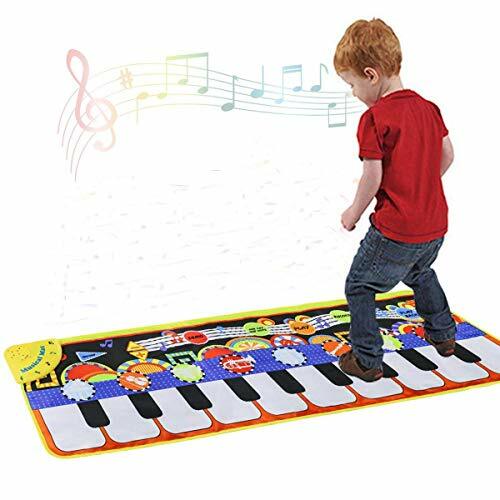 Finally, if you want to combine music and exercise to get your child moving, here’s a creative toy that’s sure to make her happy. The mat has built-in speakers and eight different modes; piano, violin, guitar, vibraphone, accordion, saxophone, trumpet, and harp. You can use this durable mat both indoors and outdoors. It helps improve children’s coordination, cognitive ability, rhythm, and gross motor skills. All of these toys are amazing and make me wish I could go back to my childhood to play with them. 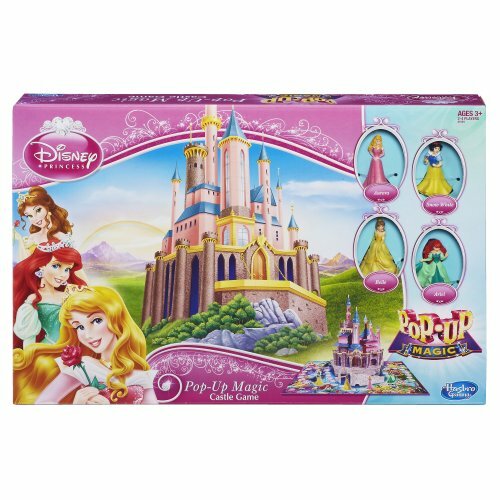 There can only be one top pick for the best toys for 4-year-old girls, though, so I am choosing the Disney Princess pop-up game. It has everything a 4-year-old girl could ask for; Disney, princesses, adventure, and social fun. It may not be the most educational or useful toy, but your daughter will love it for its girl power.